Collecting weaponry can be a diverse and interesting field. The range of swords, bayonets, rifles, hand guns, trench weapons and knives is huge, with hundreds of books written on the subject of collecting alone. Obviously armies are as good as their soldiers and weaponry, so the modern army in the field has a huge array of weapons, of all sizes and uses. 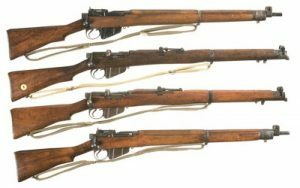 In store can be found many of the relics of the past, including the long WW1 era bayonets, parade swords and deactivated rifles. 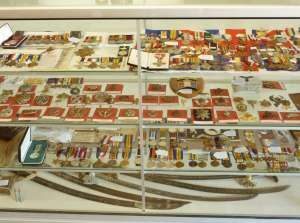 Generally, these items are great for displaying and researching, with some countries manufacturing many hundreds of specific items, such as swords and bayonets. Whilst your wife will probably not want to speak to you after you show her the .303 Lee Enfiled you have just bought, just imagine her thrill when you have it mounted and hung above your games room bar! CAUTION: You do not need a license of any kind to collect or store historical weaponry here in Western Australia, however some other states of Australia and countries may require such a piece of expensive paper for you to own these, so please check with your local authorities before purchasing such historical weaponary.